Need to browse through our catalog before you purchase? Download the 2016-2017 AAI Catalog and Price Sheet. The catalog and price sheet are free. Just add to your cart and proceed with the checkout process. No credit card required. Experience: American Gymnast is owned and operated by Jay Thornton. Jay’s experience as a World Gymnastics Team Member provides a level of firsthand wisdom and insight about the industry that other gymnastics equipment retailers simply cannot provide. 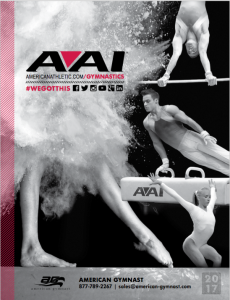 One Stop Shopping: American Gymnast carries an increasingly broad selection of high-quality gymnastics equipment, mats, grips and wrist supports. While supporting the home market as well, american-gymnast.com provides top of the line gymnastics equipment that is perfect for your gym. Website: Providing a superb online shopping experience, Jay is constantly driving an increase in the ease of use, increased functionality and overall value of the website, making it easier to make well-informed buying decisions. 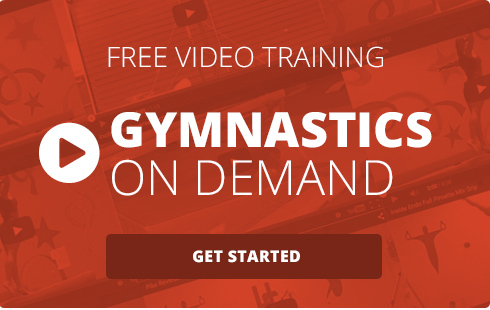 Training: By providing access to gymnastics training videos and information from top elite gymnasts, the American Gymnast website not only supports the best buying decisions, but also provides keen insights into the sport. 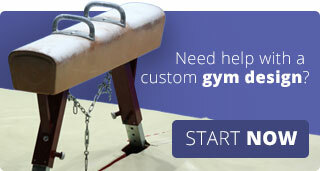 Customer Confidence: Unlike other vendors who only know how to sell, American Gymnast customer support specialists (supervised by Jay himself) know gymnastics, and they will help you make the best possible decisions and will provide you with outstanding customer support, product information and order status.